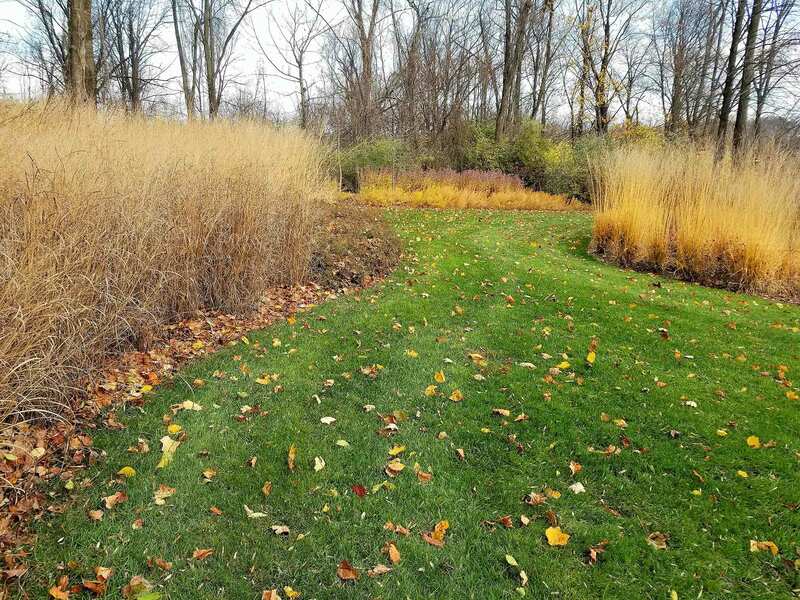 The edge of the remaining woodland were planted with flowering understory trees to add layers of color to the spring landscape. 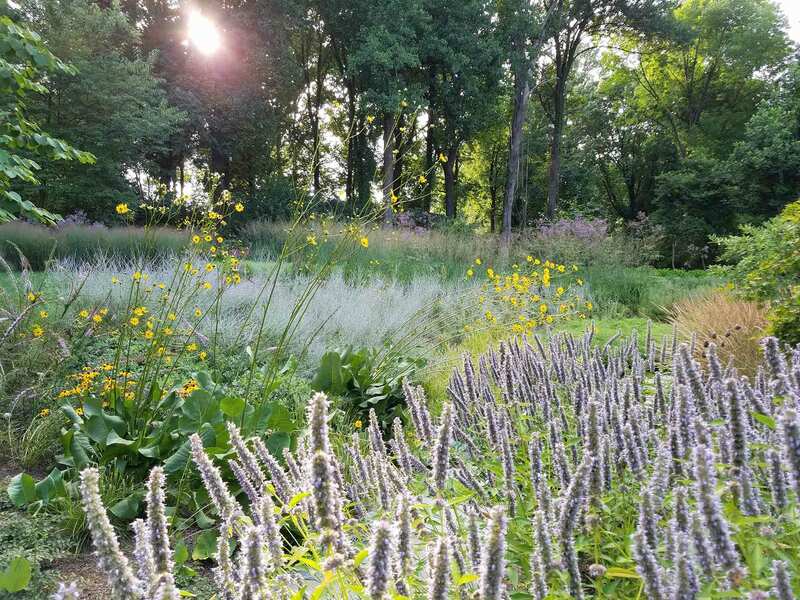 The birds that frequent them bring color and movement to the garden all year long. 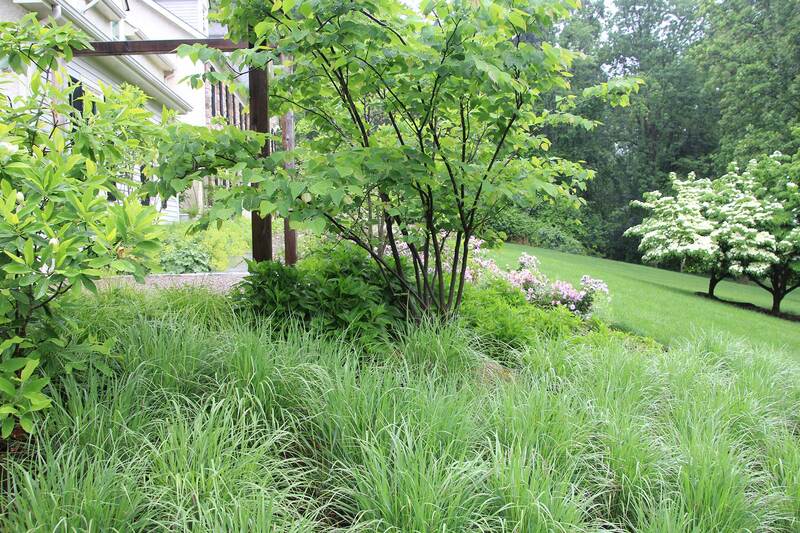 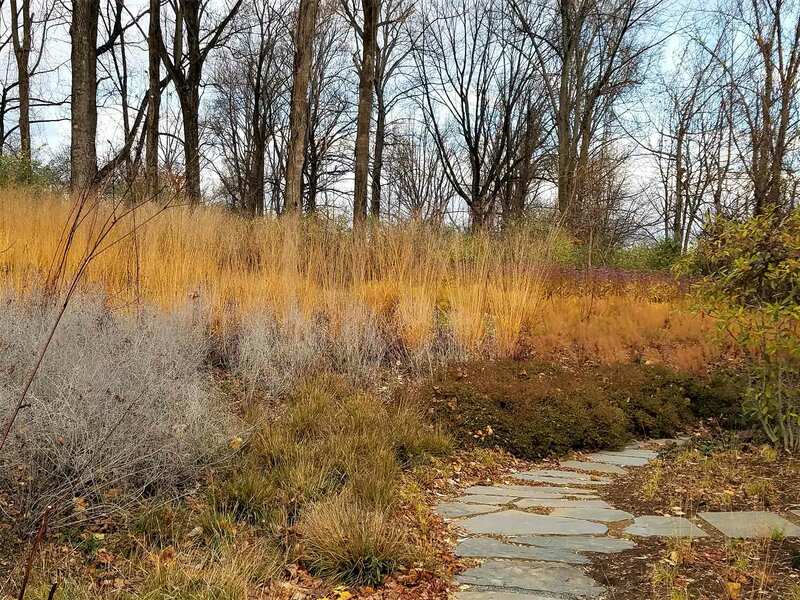 Plantings were sculpted into the hillside with grand blocks of cool and warm season grasses and vigorous perennials creating a sinuous edge to the upper perimeter of the garden. 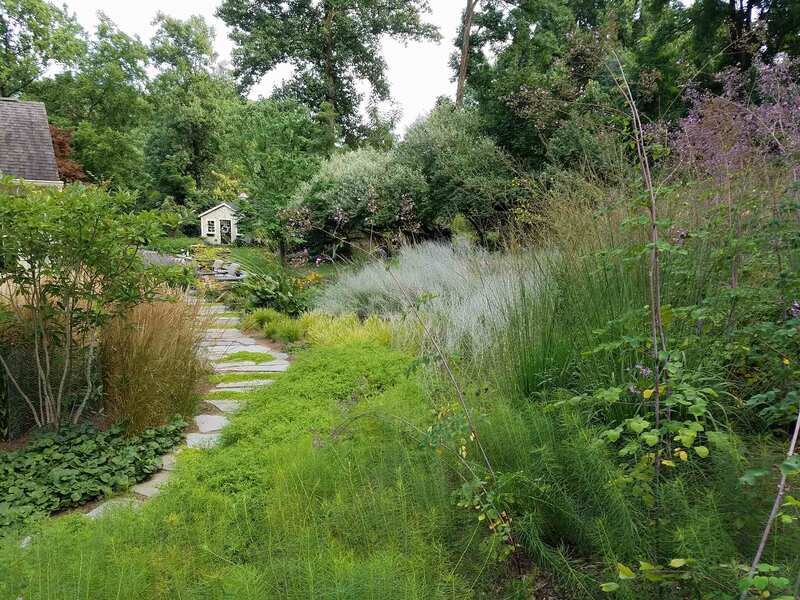 The lower slopes adjacent to the residence were planted with fine textured Carex divulsa, compact Monarda braduriana and drifts of emergent perennials and the sub shrub Perovskia ‘Little Spires’. 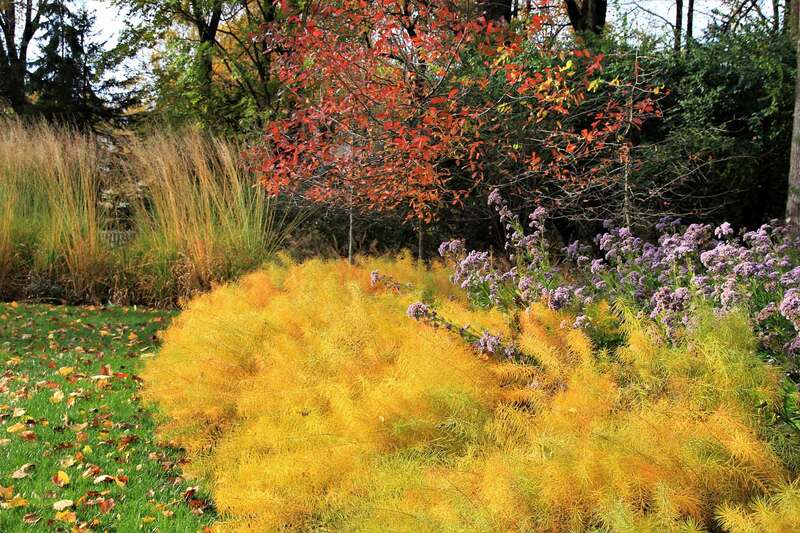 Architectural Thalictrum roechbruneanum ‘Lavender Mist’ emerge through the radiant Molinia ‘Cordoba’. 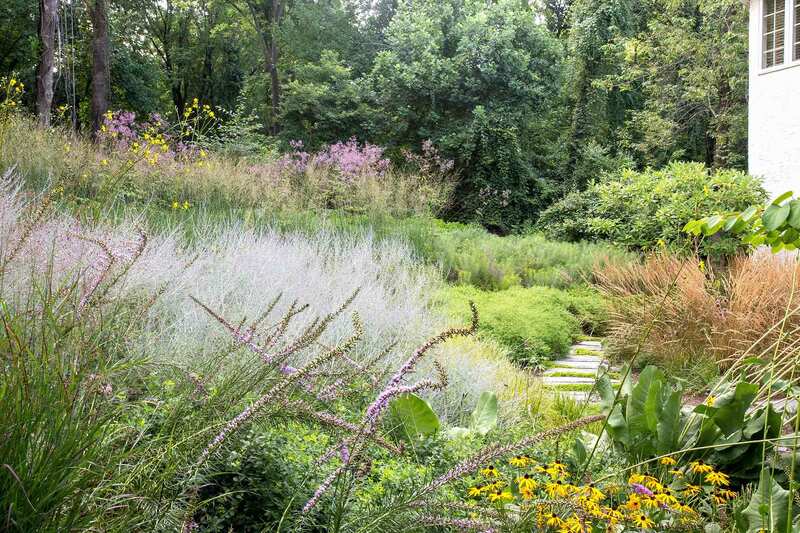 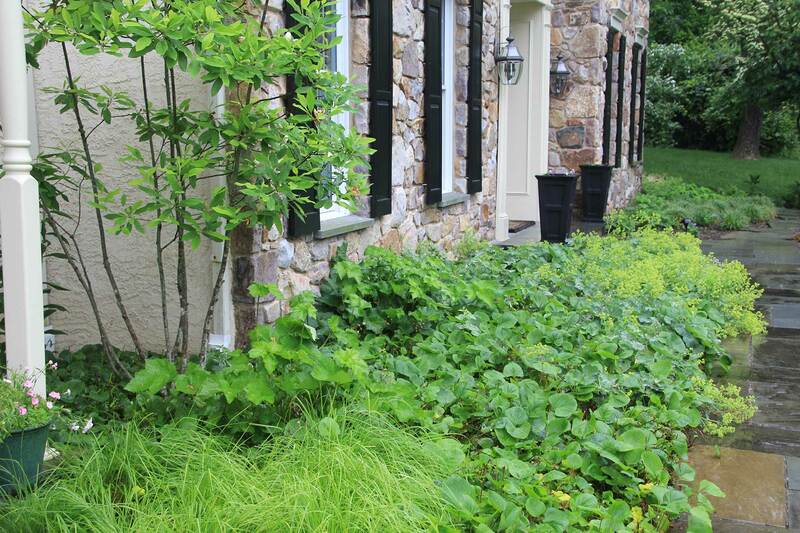 The lower and upper plantings leave a sinuous pathway of lawn between the plantings to entice exploration of the evolving textures and colors. 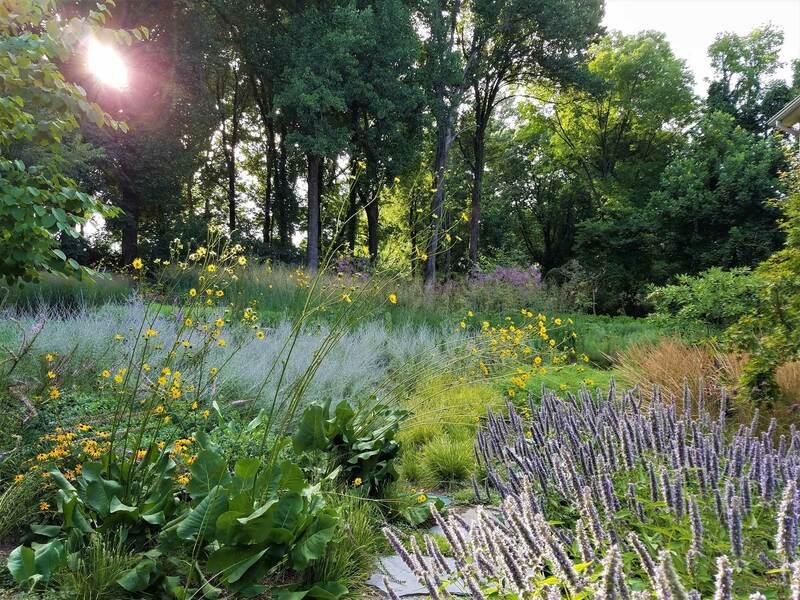 The changes in light and the movement of herbaceous plants and their continual seasonal evolution make this a beautiful garden to explore and beloved by the staff of our design group.